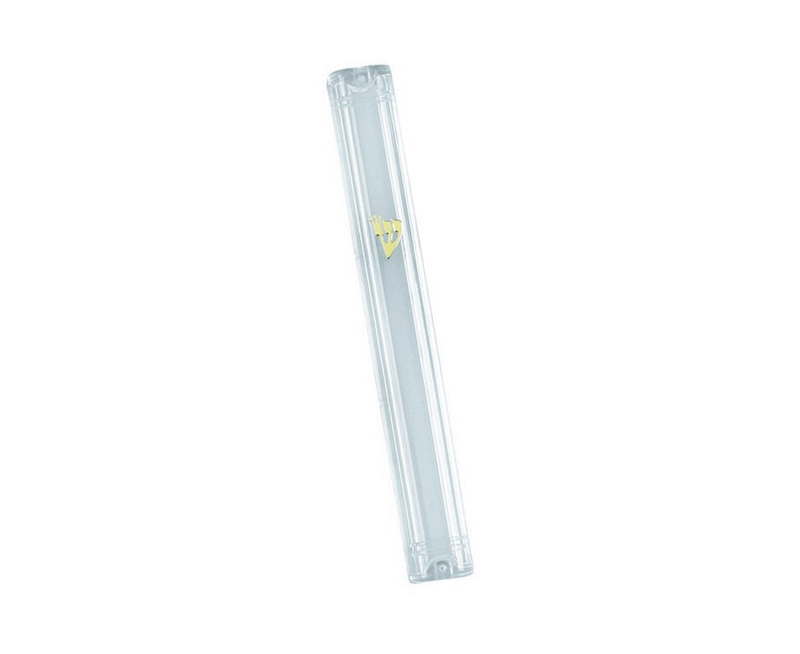 This clear plastic Lucite mezuzah case is designed to close tightly after inserting the mezuzah parchment scroll, making it waterproof and suitable for outdoor use. The clear Lucite material enables the mezuzah parchment to be seen from the outside. The case is decorated with a gold colored “Shin”, the Hebrew alphabet letter that represents G-d’s name as a guardian of the home. The case is made from two parts, the holder and a back cover that detaches, allowing easy placement of the parchment. The mezuzah case has two holes on each end allowing it to be easily affixed with nails to the doorpost.